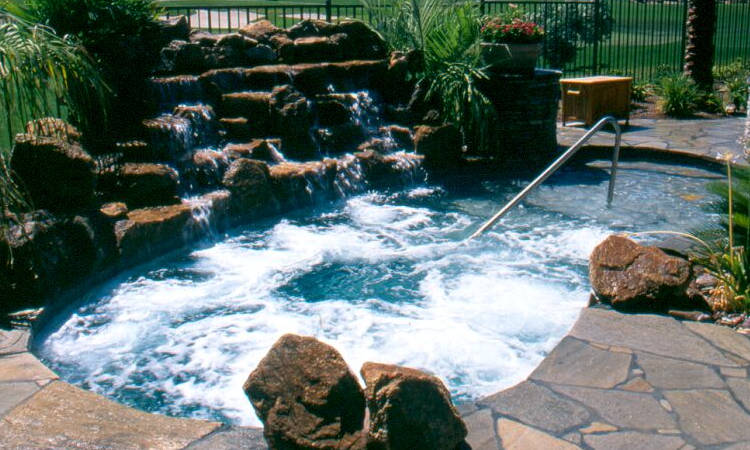 Maui Pools&apos; heritage dates back to 1986 when Michael McDuffy, president of Maui Pools, began his quest to build beautiful pools and ponds with natural rock waterfalls and slides, much like the ones he grew up swimming in during his 18 years in the Hawaiian Islands. This journey has continued for 21 years here in Las Vegas, as we have built nearly 300 pools and spas, ranging from $16,000 to over $200,000 for some of the strip&apos;s biggest entertainers. Michael is committed to building the highest quality pools and spas available. We are dedicated to true, old fashioned customer service, and we&apos;d love to prove it. We believe that the process of transforming a customer&apos;s backyard into "Paradise Done Right" is just the beginning of our relationship. We want to be there to answer your questions down the road, when customer service REALLY matters. Communication after the pool is complete is extremely vital, especially if you&apos;re a first time pool owner. We are dedicated to quality construction in a timely manner. These are not just words, but a company philosophy to be proud of EVERY pool and spa that we construct, no matter how large or small, as our reputation is paramount. Maui Pools is a one stop shop for renovations also! We have years of experience and reliable crews for anything on your wish list, from deck repairs or replacement, to upgrading your plaster, and of course we handle all equipment repairs and upgrades too. We promise to hold the highest standard of ethics from the design process till we finish giving the customer "pool school"!